Automatically finds and organizes all of your pictures. Picasa also makes advanced editing simple by putting one-click fixes and powerful effects at your fingertips. 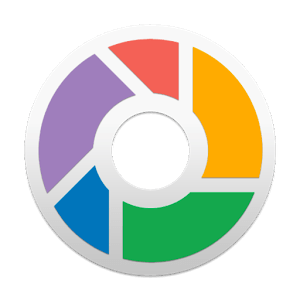 And Picasa makes it a snap to share your pictures, you can email, print photos home, make gift CDs, instantly share via Hello, and even post pictures on your own blog. Picasa now has name tags, based on the same technology that powers name tags on Picasa Web Albums. With name tags, you can organize your photos based on what matters most: the people in them. In this new version, you can also more easily geotag photos using Google Maps, plus import photos from your camera and upload them to Picasa Web Albums in one step. Fixed the 'Picasa is moving My Contacts to Other Contacts' issue.